A mod to make water bottles as thirsty as I am. This mod makes bottles of water consume the block of water that they are used on. This mod is useful for preventing water duplication bugs in modpacks where water blocks are not infinite. It also encourages players to use cauldrons for filling their water bottles. This project is sponsored by Nodecraft. Use code Darkhax for 30% off your first month of service! does this add a thirst bar in or no? No, this mod just makes bottles themselves thirsty, and they drink the entire block of water. Is this compatable with Pams Harvestcraft mod? indeed :P you thought about it b4 me! (jk someone told me about it wanting me to add this to my mod cus its "too buggy") whatever that means. Will there be ever a tough as nails support? I am planning to move this mod to use a recipe-like system. 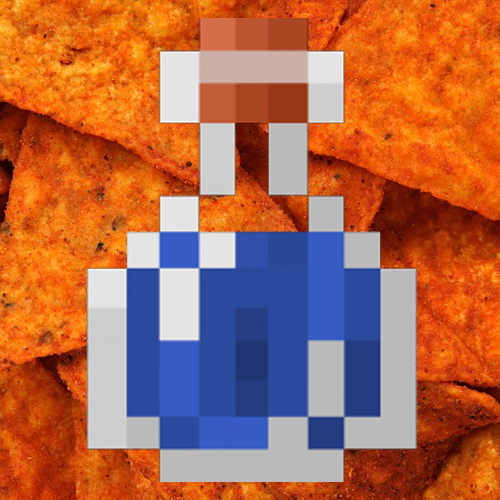 You will be able to use mods like CraftTweaker to specify custom recipes for bottles. This will allow changing the output of the bottle to the dirty bottle from tough as nails. No ETA on when this will be released, and it will likely only be for 1.11.2, or 1.12 if I move to that. Did you ever get around to doing this for 1.12? I want to add it to my modpack, but it relies on Tough As Nails. Please add Tough As Nails Support. Just to elaborate on Zaakjin's comment: With Tough As Nails installed when right-clicking with a bottle on a water source block the bottle fills with dirty water. When Thirsty Bottles is added you get a dirty water bottle and a regular water bottle. I've also seen some other odd behavior like filled bottles disappearing from inventories, bottles momentarily with negative counts, etc. None of this happens with only one of the two mods are installed. Hope that helps! Let me know if there anything else I can do to get this tracked down. Hey, this is exactly the sort of thing I'm looking for! I hope this causes a block update when you remove the water block, since the mod I'm currently using doesn't which causes a bunch of issues with water flow. Would you be willing to look into a 1.7.10 version of this mod? I do really need something like this for my world, due to the aforementioned flow issues. I use a mod that makes water flow realistically, and having it sit in place after taking a bottle of it doesn't really work, since you're encouraged to build things like aqueducts to bring water to you for drinking, since I'm trying to limit buckets a lot. Thank you! Was waiting months for functionality like this. Almost implemented solution based on command blocks, but this is so much better. Would compatibility with Tough As Nails be possible? Filling canteen does not remove water source and bottles return vanilla water bottles instead of dirty water bottles. Yes, that would be a possibility. I am planning to allow you to configure this to work for any item eventually. Awesome! Thanks for sharing your work.